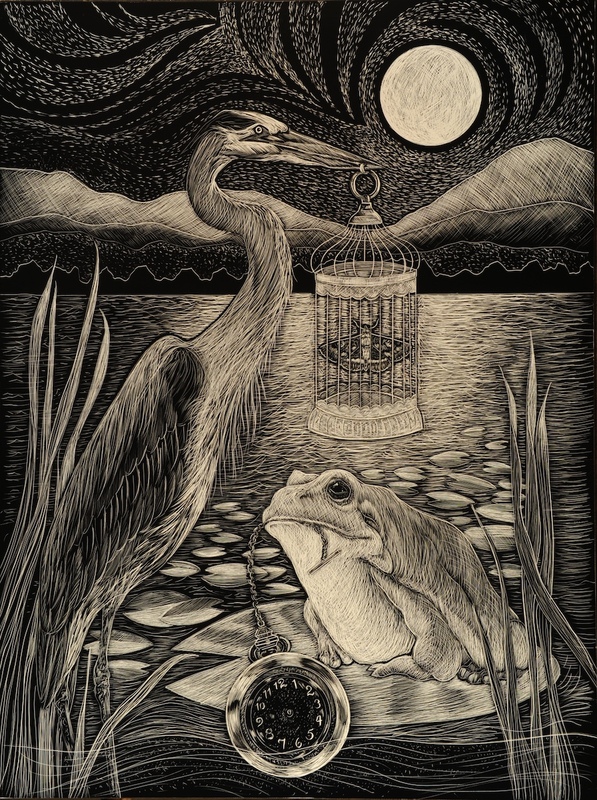 Karen Gaudette, a full time middle school art teacher and scratchboard artist is currently finishing up a thoughtful, mystical series, Wishing for the Moon, that will debut at the Brattleboro Museum in Vermont next year. The series of 14 pieces has yet to be fully revealed, but you can catch a glimpse of the work on Karen’s KickStarter Project. Quite interesting picture. I like the way lines are used here. It looks very eye-filling. Actually my friend from http://www.paperwriting.xyz is interested to visit the exhibition in Brattleboro Museum. Good luck to the author.